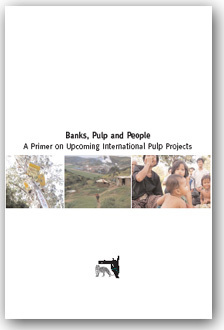 This book gives an overview of the pulp and paper industry in Cambodia, Laos, Thailand and Vietnam. By Chris Lang. Published in WRM Bulletin 58, May 2002. Over the last decade the area of fast-growing tree plantations in the Mekong region has expanded dramatically. 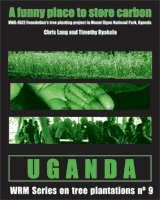 Villagers throughout the region have seen their forests, fallows and grazing lands replaced with eucalyptus, acacia and pine monocultures. 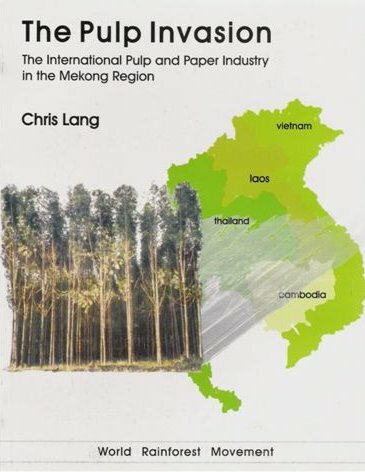 A new World Rainforest Movement report, The Pulp Invasion: The international pulp and paper industry in the Mekong Region, written by Chris Lang, gives an overview of the industry, profiles the actors involved and documents the resistance to the spread of plantations. 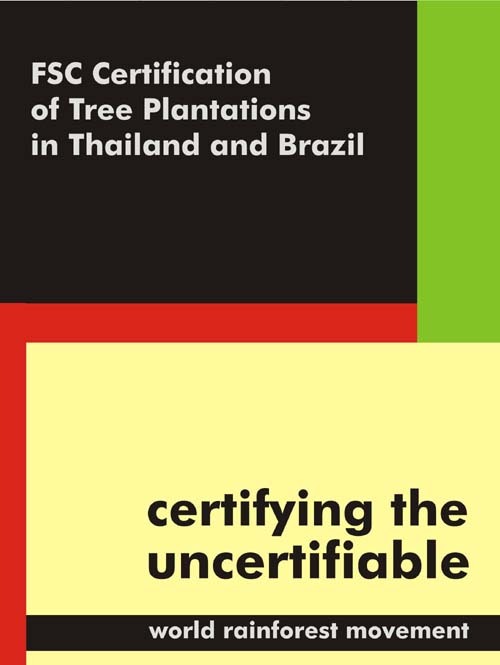 The report looks into the current plans to expand plantations in the region. In Thailand, a US$1 billion Chinese-Thai project aims to create a new 700,000 tons a year pulp and paper mill, with 96,000 hectares of plantations. The Phoenix pulp and paper mill is looking to cheap loans from the Finnish and Swedish governments to fund its plans to double the capacity of its mill. In Cambodia, the Taiwanese-Cambodian joint venture, Pheapimex, aims to build a US$70 million pulp and paper mill, with 300,000 hectares of plantations. In Laos, BGA Lao Plantation Forestry is planting 50,000 hectares of mainly eucalyptus plantations to feed a wood chip mill, for export to Japan. In Vietnam, Sweden’s aid agency, Sida, with support from the Swedish Export Credit Corporation, is funding the expansion of the Bai Bang pulp and paper mill. Recently, the Vietnamese government announced plans for a new pulp mill project in Kontum province. Plantation proponents put forward several arguments to justify the expansion of industrial plantations to feed the pulp and paper industry. Depending on the situation, and the audience, they describe plantations as a way of preventing soil erosion, of protecting watersheds, of reducing pressure on native forests, of absorbing of carbon, of alleviating poverty, of reforestation or of afforestation. Plantations have been promoted as a source of fuelwood, as an alternative to “slash and burn” or as a means to “sedentarise” local communities. 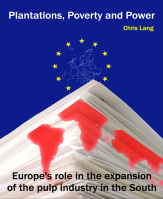 Almost invariably, however, the real reason for the expansion of industrial plantations is the exploitation of the cheap land, cheap labour, rich soils, warm climate, and freely available subsidies—which vested interests close to the pulp and paper industry work hard to maintain. For example, the Phoenix pulp and paper mill in Thailand claims to have the cheapest supply of eucalyptus pulp in the world. Behind this boast are cheap loans in the form of “aid” from the Finnish, Swedish and Austrian governments, and an eight year tax holiday from the Thai government. The European Overseas Development Corporation (EODC), the company that established Phoenix, was set up specifically to benefit from projects funded through European export credits. 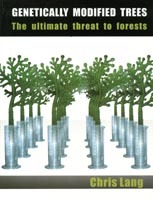 A wide range of organisations promotes and supports the expansion of industrial plantations and the pulp and paper industry, including “aid” agencies, export credit agencies, forestry consulting firms, suppliers of pulp and paper making machinery, pulp and paper industrial associations, forestry educational establishments, research institutions and even NGOs. A few examples: The Asian Development Bank (ADB) funded a US$12 million Industrial Tree Plantation project in Laos, and is coordinating the Five Million Hectare Reforestation Programme in Vietnam (one million hectares of the proposed five million are to feed the pulp and paper industry). In the 1990s, three new mills started operations in Thailand. All three use eucalyptus as raw material and all use technology and machinery from the North to produce pulp. Consulting firms, such as Jaakko Poyry provide “expert” advice on these projects. Poyry has won consultancies on approximately two-thirds of all new pulping operations in Southeast Asia since 1981. In the Mekong region, Poyry has benefited from a vast range of pulp and paper projects, many backed by aid funding. Poyry’s consultancies include the ADB Industrial Tree Plantation project in Laos, the Thai Forest Sector Master Plan, consultancies for Phoenix, Advance Agro, Siam Pulp and Paper in Thailand, and (perhaps most notoriously) the Bai Bang pulp and paper mill in Vietnam, funded by Sweden’s Sida. Between 1974 and 1991, Sida handed out US$1 billion out on the 55,000 tons-a-year Bai Bang mill. Of this, 40 per cent went to Swedish workers at the project site and to consultancy headquarters in Sweden. Around 80 per cent of the goods and services for Bai Bang were bought in Sweden. Yet, despite (or perhaps because of) Sweden’s aid, the cost of paper produced at the mill is 10 to 20 per cent above the international price of paper. In an attempt to promote discussion of the issues surrounding the pulp and paper industry and the associated expansion of plantations, WRM’s new report looks at government and international support to the industry and profiles the major companies and consulting firms operating in the region.